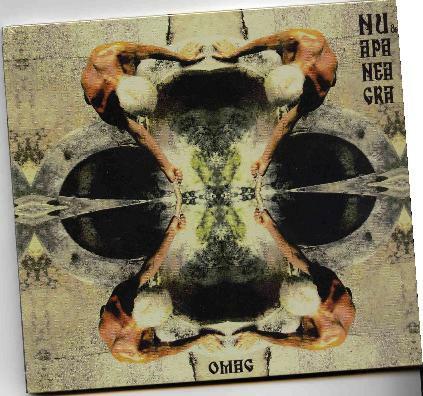 Nu & Apa Neagra - "OMAG"
This group comes from Romania and makes some really cool music that is a mixture of traditional music from the region with some interesting vocals and spacey synthesizers and electronics. OMAG is a poisonous plant from Romania. This is music from another world unlike anything you have heard before. The Man with the Platinum Mouth might remind one of 1969 era Pink Floyd at times. Over the Mountain is a special song and it is included at the end of the CD in a special remix by Alan Holmes (Ectogram). He deconstructs the track to a more low fi primitive state. Gallop in 2/4 is far out with some crazy guitar, forward and backwards. Pneumatic Cobzar Player uses organ and various drums, horns and other things to take you to another world. Amazing. The Shadow and the Iron Tree features some very psychedelic vocalizations. Far out. Rusty Dulcimer is like it says... just imagine... five overlappings Fancies features some backwards stuff and is also pretty strange and experimental to start. The CD gets even stranger. If you like really far out experimental stuff this is well worth checking out.